Awareness and concern regarding violence has been heightened in Kalamazoo over the past several years. This includes several incidences which were very visible at both the local and national level. Many feel a desire to understand why these events occurred and a call to action to develop a plan for prevention in the future. To augment the work being done by other parties and after conversations with funders and other agencies in the area, Prevention Works is taking a lead role, in collaboration with Gryphon Place and YWCA Kalamazoo, to convene a Task Force for violence prevention in the Kalamazoo community. Prevention Works has extensive experience mobilizing communities for collective impact relative to health issues (Heroin Crisis 2008, Kalamazoo County Substance Abuse Task Force). They are a team of certified Prevention Specialists and Consultants who are trained in coalition building and strategic networks using the Public Health Model and the Strategic Prevention Framework. It is because of their experience and outcomes that they have built a reputation in the community for public health work, including community mobilization around issues. 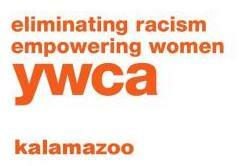 The collaboration of Prevention Works, Gryphon Place and YWCA Kalamazoo is strong and far-reaching. Together, these organizations will be working collectively to build a structure for the establishment of a Violence Prevention Task Force. The first step in preventing violence is to understand the “who,” “what,” “when,” “where” and “how” associated with it. This involves analyzing the data from police reports, medical examiner files, vital records, hospital charts, registries, population-based surveys and other sources. Understanding what factors protect people or put them at risk for experiencing or perpetrating violence is also important. Risk and protective factors help identify where prevention efforts should be focused. 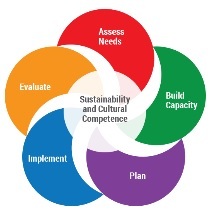 Research data findings from needs assessments, community surveys, stakeholder interviews and focus groups are useful for designing prevention programs. Once programs are implemented, they are evaluated rigorously to determine their effectiveness. Once prevention programs have been proven effective, they must be implemented and adopted more broadly. Dissemination techniques to promote widespread adoption include training, networking, technical assistance and evaluation.